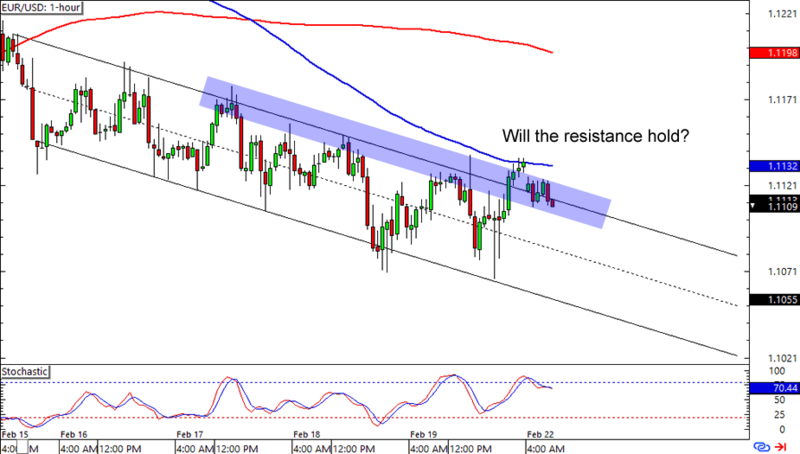 First up for today is a nice and simple trend play on EUR/USD. The pair had trouble breaking above the 1.1125 area, which is near the falling channel ceiling and 100 SMA resistance on the 1-hour time frame. In addition, Stochastic has just left the overbought territory. A short trade around current levels could get you some pips if you think that the pair is headed for its channel support. Just make sure you place your stop losses well above the resistance marks that we have mentioned! Here’s one for countertrend traders! 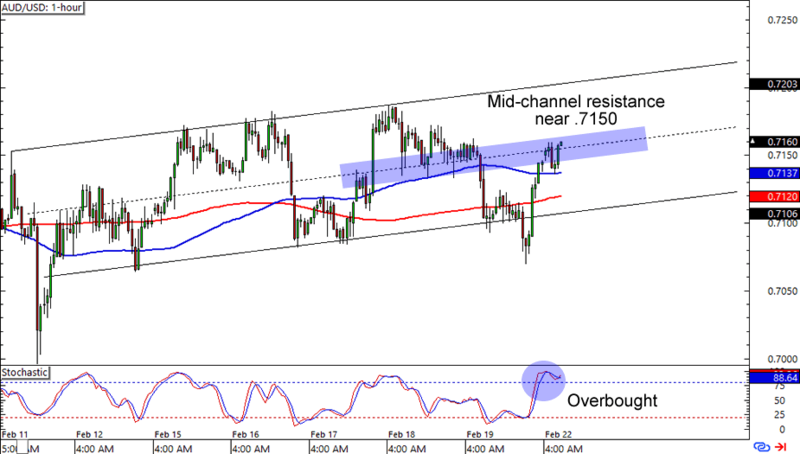 Remember that AUD/USD uptrend that we’ve been watching? Well, it looks like the pair might not reach its channel resistance after all! Right now the bulls are having a hard time pushing it past the .7150 mark, especially since Stochastic is sitting on the overbought territory. Think the Aussie is in for more losses? Not everyone is wired for countertrend trading, so take extra precautions in your trading plans if you’re taking advantage of this one! 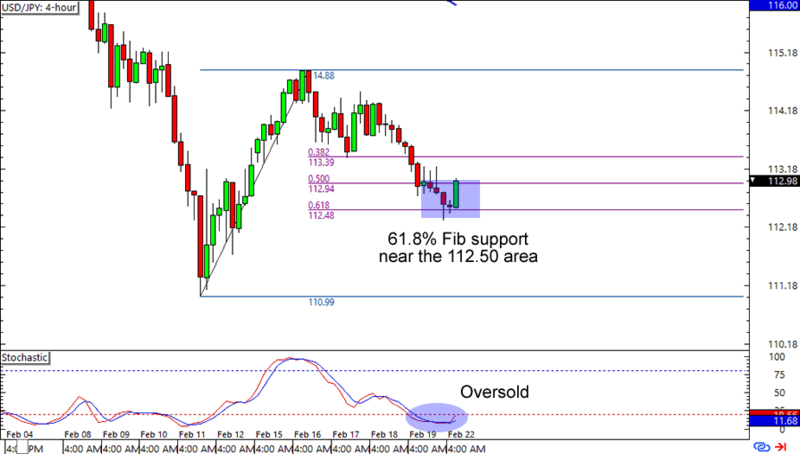 Are we seeing a bottom for USD/JPY? Just last week the pair had tried to gun for its previous lows, but had failed when it encountered support just below the 113.00 major psychological handle and 61.8% Fib retracement level on the 4-hour chart. Will this spell a leg of gains for the Greenback? You could still wait for a couple more candlesticks to confirm a move higher if you’re not sure about buying the dollar just yet. Whatever your strategy may be, just remember to make room for volatility. Yen pairs like these can go all over the charts before choosing a direction!